I’m going to “keep it real” as Randy Jackson used to say on American Idol about this topic on where to buy DIY shower and tub wall panels. I’m biased. I’m a passionate nationwide wholesaler of bathroom wall panels who “competes” with Home Centers (actually, Home Depot, Lowes and Menards don’t even know who I am) on a daily basis. One division of our business works with DIY’ers who want to install their own (or buy their own) shower and tub wall panels. The #1 reasons homeowners want to DIY (or BIY – Buy It Yourself) is to save money in the remodeling process – and for most people, remodeling projects end up more expensive than they originally thought. While buying anything from an independent entrepreneurial company can make you “feel good” to support the small business community vs. the big box stores, “feeling good” is not a reason enough to shell over your hard-earned money to any business. If buying from the guy or gal in the orange, green or blue smock is the smartest decision for you – by all means – do it! But before you rush out to your local home center store and start purchasing the first set of DIY shower wall panels off the shelf you can find, my goal is to give you a more thorough way to make the best decision for you (note – for your reference I have personally sold thousands of different types of wall panels to consumers across the country since the inception of our company in 1977. They’ve come a long way from the days of boring white acrylic and fiberglass units. I’ve learned a few things along the way I’m looking forward to sharing in this article). In this article my goal is to give it to you straight. 5 reasons you shouldn’t buy DIY shower and tub wall panels from a Home Center and 3 reasons you should (ouch – it hurts me to say that!). Let’s dig in. Bill was hired 6 weeks ago to work in the building materials department at a local home center. He is a super nice guy who even does a bit of handyman work on the side. He hasn’t installed any shower wall panels yet – but is thinking about experimenting with them for his Mom’s basement shower. While Bill knows a little bit about a lot of home remodeling projects (this is one reason the store hired him) he has no specialized expertise in wall panels. Bill isn’t familiar with other wall products on the market and how they compare to what the store carries. He’s not sure what goes behind these panels, if you can buy them a bit oversized if your walls are out of square or if there are any special sizes available? He’s just not knowledgeable enough to answer all your questions. He’d like to know more, but his store does carry a lot of products. While Bill wants to be helpful his expertise is limited. Buying from a company who specializes in wall panels can enable you to talk to someone in depth about options, technical installation details and the advantages and disadvantages of various systems (check out the unique (yet pricey) high gloss shower wall panel system below you won’t see in home centers! If you don’t have a big budget another cool option are these laminated wall panels which click, lock and seal together). When you think about it if you had a heart attack would you rather go to a “general” practitioner or a heart specialist? You own a 1920’s home and nothing is standard. You take measurements of your mold-infested, nasty, dark and ugly tile shower and get in the car excited to finally put an end to your shower misery (your wife is loving you right now for finally taking on this nasty project). The prices on these wall panel systems are excellent but your shower is 52” x 38” and the standard 48 x 36, 32 x 32 and 60 x 32 shower kits aren’t going to fit. Now what? Your challenge is not uncommon. Home center stores stock what will fly off the shelf and earn a nice profit for them. As I learned in business school (I was actually a mini “Alex P. Keaton” kind of guy in the late 1970’s. A business school geek at Carnegie-Mellon University) for operational efficiency it’s about “turns x earns.” What this means in plain English (for non-business school geeks like me) is the big box store will only give a product space on the shelf if it “turns” (moves off the shelf a high number of times) and “earns” (makes a nice profit margin for them) well enough to justify them giving it floor space. Since special sizes don’t sell well they won’t be stocked. Yes, there are cases when you can get special sizes from a home center. But when it comes around to placing the order the home center employee who is only vaguely familiar with the product is going to get a bit queasy about helping you (they are more than a little bit out of their comfort zone ordering specials. When you deal with specialized companies who sell (and install) both standard and custom showers on a daily basis your funky design is actually more fun for them than just selling another standard system. It’s an opportunity to really guide and help you through the process. Since your job has a crazy shape and size, they will be more informed on what specific product will be best for your application and budget. This special sized cultured granite shower pan can be designed to fit any design. Money is tight for all of us (I’ve got 3 kids and man they are expensive) and buying at the lowest possible price from a big box store can certainly look good (at least at the time of purchase when you feel like you got a great deal). But here’s the problem. Have you ever brought home materials for a home improvement project you intended to do “right away” only to have the box sit in the side of the garage for 6 months because “life” (and more pressing problems) got in the way? Now you go back to the big box store and you look for Bill (the nice guy who helped you six months ago) and want to ask some questions about how the heck you install this project. Nobody in the department even knows who Bill is. Worse yet the “new people” are clueless! Ouch! Relationships from caring people at caring companies who really think about YOU and your success can and DO matter! When you’re buying a DIY shower wall kit your bathroom remodeling project is usually about much more than that. In most cases, you’ll also need a shower pan. You’ll need to know what type of shower drain will be best (and if you can use your existing drain location). It will be helpful to know if you can get niches and shelves with this system. Can you get a vanity top to coordinate with your shower panels? Would you like a contemporary glass block wall to go with your wall panels? The questions start to come fast and furious when you start digging into this project. Is Bill, who started 6 weeks ago, really qualified to help you through your stacks of questions? Will he then refer you to Sally in another department (if he can find her in the store!) 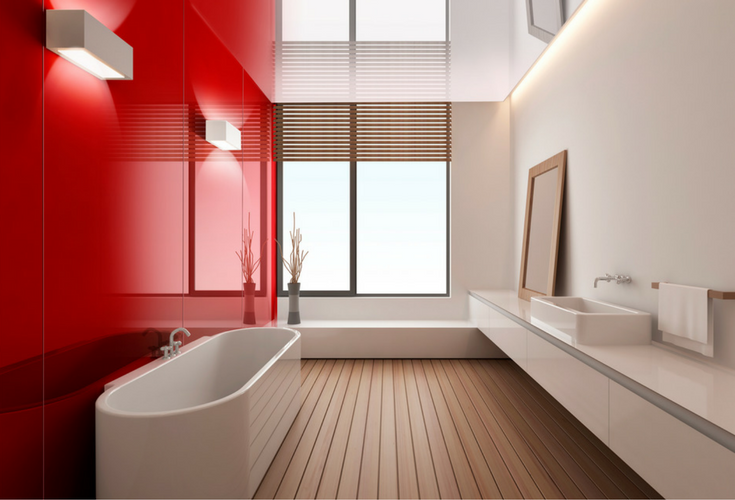 to help you with the other products you need for your bathroom remodeling project? 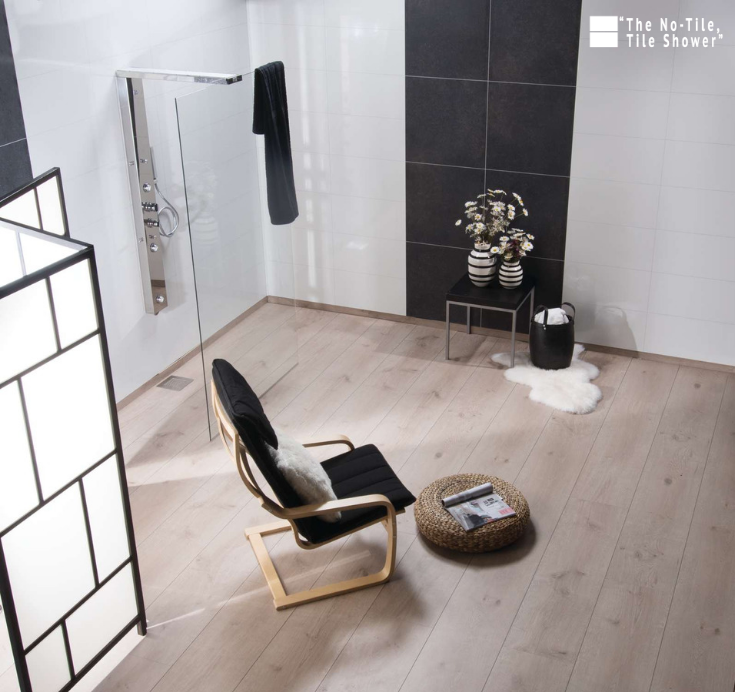 Wall panels dealers who specialize in bathroom remodeling projects know you’re not buying panels only. You’ll need, and want, help in pulling the entire project together. Maybe you need a barrier free shower pan, or grab bars or specialized niches. As a bathroom specialist (not someone who was pulled over from the lumber department today to fill in) they will be better equipped to help. 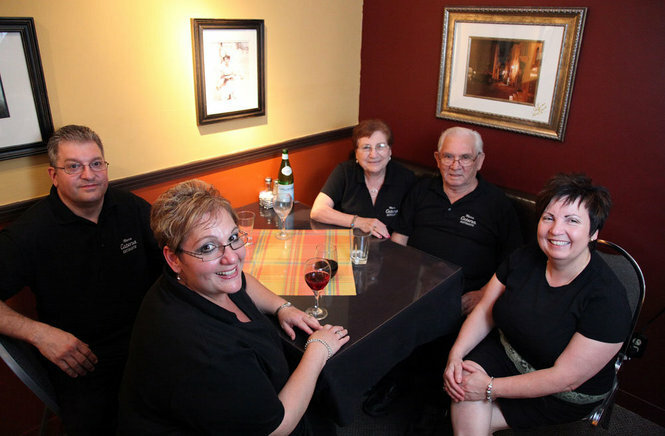 (Reason 5) Service is a phone call away ….and our “menu’s” haven’t changed! Ever call a big company and get the automated message which “greets” and says “our menus have changed!” When you’re calling you’re not worried about their “menus” (you’re not ordering any Chinese food here). You want to talk to the live human being you talked to before who can help you through how to install the wall panels you bought 6 months ago. You want your technical and selection questions answered by somebody knowledgeable right now. I don’t know about you but I’m super-impatient. Being on hold, waiting for someone to “help” me, is like nails on a chalkboard. Bigger doesn’t always have to mean slower, less personalized service – but it usually does. When you call the right entrepreneurial wall panel dealer a human being will answer the phone or better yet you’ll have the cell number directly to the person you worked with and can call and get an answer NOW. Doesn’t that sound better for you? This faux stone wall panel system is just one of many options you can get from an independent dealer. Home centers like Home Depot, Lowes and Menards buy in big volumes. 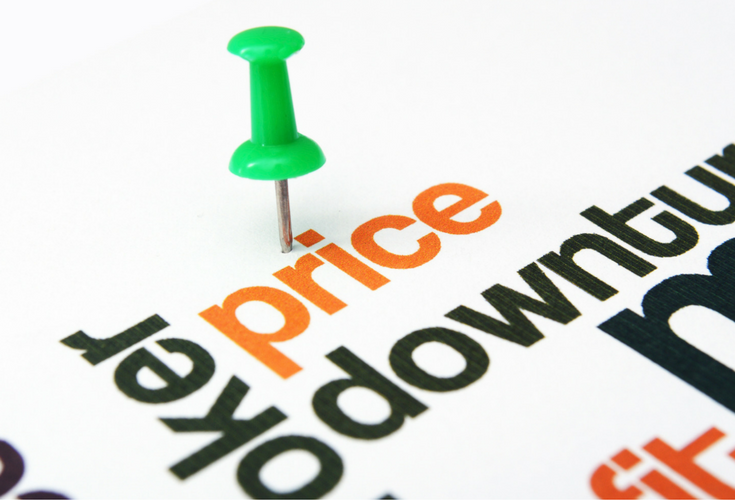 When it comes to negotiating with their vendors they have the power to drive their prices down year after year. When you’re buying thousands or even millions of one product you wield power over your suppliers to get costs down. Manufacturers in the United States and overseas supplying these big box stores want to keep those plants humming. With these negotiated savings, big box stores can pass savings on to customers who come into their stores. If you know what you need they can get you a great deal. It can be exciting to get an idea into your head (the home improvement inspiration has finally overcome you) and you’re ready to tackle that shower remodeling project. You fly off to your local home center store. Find the standard model which works for your existing builders grade shower. Load the box onto the cart, pay and off you go. Big boxes exist to have what you need now and make it convenient for you to drive off with your shower kit today. 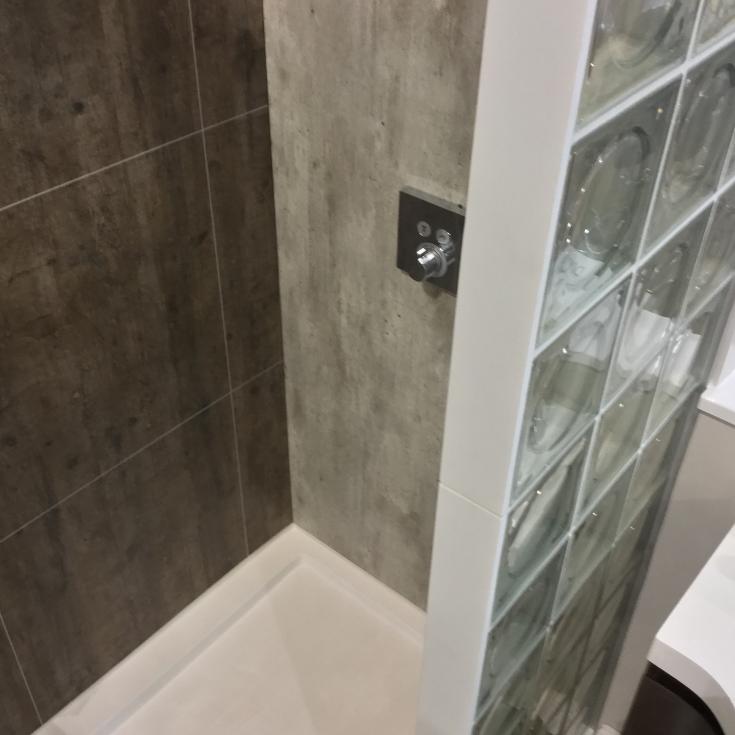 If you have a “vanilla” project (a standard sized shower) and don’t need anything too stylish for a quick turnaround project they are an excellent option (it pains me to say this!). (Reason 3) They look marvelous and you can find them everywhere! It doesn’t take a lot of effort to buy from a home center. Their marketing is everywhere – just look in your newspaper every weekend. You’ll see special sales and maybe even pictures of their associates. They even dominate the search rankings (I’ve often wondered if they’ve got a special deal going with “Mr. Google” – as I like to call him – and they get top rankings in search results even if the information on their web page for a product is not that informative). If you want to find focused DIY shower and tub wall panel independent dealer it will take more digital elbow-grease to uncover them. 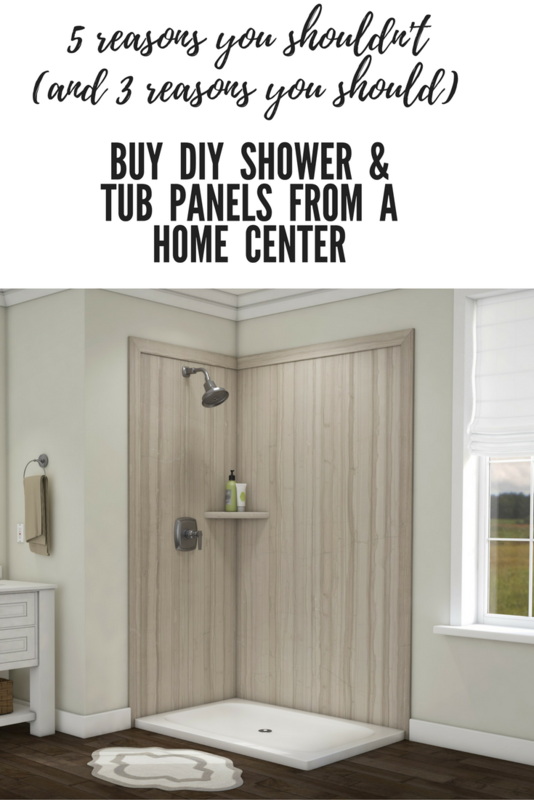 So now you have my somewhat biased thoughts regarding why you shouldn’t (and why you should) buy DIY shower and tub wall panels from a Home Center. What’s your opinion? I’d love to hear your pros and cons of buying from a home center vs. an independent specialized dealer. If you need help with shower and tub wall panels call me (or my team). We would love to help you with this project (and we’ve got 4 different lines we can offer as well). Please call us at the number below – we’re looking forward to getting to know you! 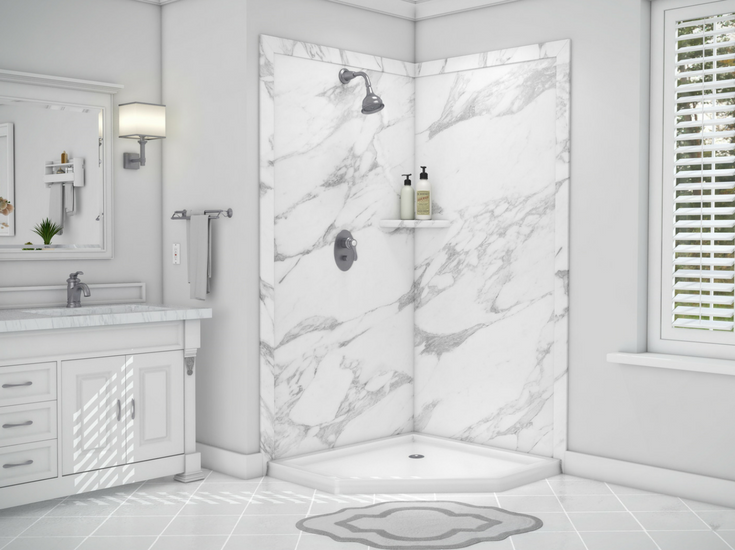 I’m so glad I found your site and company that provides custom sized solid surface shower panels and pans, but worried you will not be able to help. We are located in Florida, noticed you are in Cleveland. I’m hoping you can provide assistance and we can order from you. Jim – thanks for your comments! 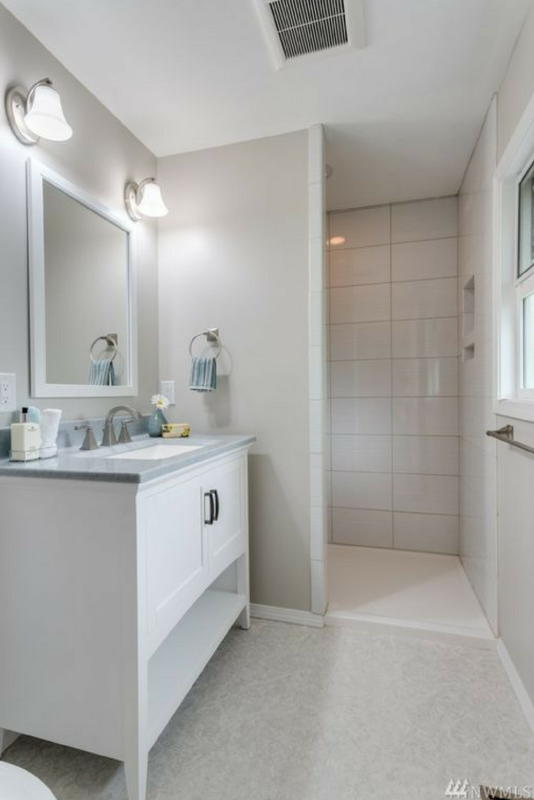 I’m glad we were able to help you on the custom project which was handicapped accessible and it looks like you got the deal you needed from the home center for the basement bathroom. There is a place for independent dealers and for home centers (although it would be cool if we got all the business – ha! ha!. Mike, you hit the nail on the head, as usual. My wife and I are in the process of renovating a house for handicapped access. You helped us on our main bath with the right shower pan and walls as well as a custom vanity top that could not be had anywhere else. You got us just what we needed. We also needed to “fix up” an extra bath in the basement. For this we hit the local home center and bought a simple shower wall kit made of some kind of plastic. It is a spare bath, so cheap-cheap-cheap was the order of the day!